I like to say marriage is not a magic box where miracles and surprises are waiting for everyone to come and experiment and enjoy....not one bit. Marriage is what and who comes into it and what each does bring into it! Young lady, what are you bringing into your marriage? What do you have? Who are you? Apart from those makes-up, long nails, wig-on and artificial attachment and lip stick and eye shadow and cosmetics what do you have in your character and lifestyle? Jesus said "follow me and I will make you a fisher of men (Matthew 4:19) Are you willing? What are you bringing into your marriage? Are you really a wife material? Are you going to bless your husband and assist him? What have you or are you planning to compete with your man? However, you ought to understand that marriage isn't a must and never mandatory. It's doesn't define you and been single isn't a curse but rather divine blessing from the Lord. But before you make a voyage to indulges into marriage you need to place God ahead because marriage involves various unpleasant things of life. This is the 3rd series of our teaching on marriage which is culled from pastor Myles Mounro message titled "Single But Not Alone" and i pray this series will be a blessing to you in Jesus name. READ ALSO: How To Find A Good Woman For A Wife Material. Advantage Of Been Single — Series 1. Advantage Of Been Single — Series 2. Advantage Of Been Single — Series 3. Some of you have put your life on hold until you get marry. I rebuke you in the name of Jesus (amen). You should be busy doing God's purpose now. At age 18, 20, 25, 30, you should be so involve in God's purpose for your life that got no time to get marry. 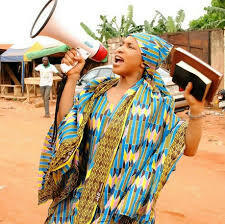 At age 18 i was National Evangelist in my country. At age 20 i was having crusade with 5,000 teenagers. At age 22 i have number-one hit song on radio over the Caribbean singing gospel. What do you do at age 20? Sitting around and looking for someone to get marry to, wasting your life! Your purpose isn't in your marriage, it is in you. Marriage could destroy your purpose. READ ALSO: Marriage Proposal And Counseling For Single Sisters. You could marry a wrong person and mess your vision-up completely. It's important for you to get busy on your purpose right now. So that when people come into your life, they will meet you fulfilling your purpose. So they knew what you were born to do before they even talk to you. I am talking to the majority, "Young man stop looking for a Girl friend and look for God's will for your life" "Young woman stop trying to find a Boy friend and try to find God's purpose for your life" You got the rest of your life to be married. The average human in this room will live to be 75 years old. That means your life has 3 phases (write them down). The first 25 years should be focus on "me". The second 25 years should be focus on "we". 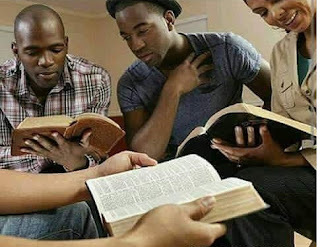 The third and final 25 years should focus on "them"
That means, before you turns 25 you shouldn't be thinking about marriage but thinking of developing yourself, educating yourself, disciplining yourself, training yourself, read the word, fasting and praying. why? Because when you get marry, you got no time to fast anymore. You can’t prays no more because now you got responsibility, so you better spend the first 25 years learning how to read the word of God. I read the Bible more, in the first 25 years of my life than i did after i got marry because when you get marry, The Bible said, your time has to be split with your spouse. When i was 20 years old, i was fasting 20-30 days, why? Because i had no one to report to--i was unmarried. But when i got marry, i couldn't fast like that no-more because my wife wants to eat with me. And here you are begging to be married, interfering with your own growth. Everybody say relax. Tell your neighbor relax; take it easy, you go a lot of time. Don’t put pressure on yourself my friends. And don’t let Old Christian put pressure on you either. 3. Marriage Is Design Only For Earth And Not Heaven. This is biblical sound. Jesus said "when a man get marry and his spouse dies, if a woman get marry and her spouse dies, when they go to Heaven, there is no marriage (Matthew 22:24). So marriage is always only temporary. It's only for earth. Why you so get upset about something so temporary when you are lacking things that are spiritual and eternal? You will grow more now than you will ever grow in your life because you got the time to do it. Some of you are 21 years old and have not yet read the Bible completely through yet. What a shame! The Bible says "How can a young man keep his ways pure? (Psalm 119:9). How can a young woman keep her way pure by adhering to the word of God and hiding it in their heart? You don't even have the time to read the "word". Today, you wanna go for a trip, you wanna spend time watching Tv with somebody, but God said, "Look, you better use this time now to get the word into your heart" When i was 15 years old i read the whole Bible completely, though didn't understand but i read it. When i was 16 and 17 i read it again. But the time i was 18 i read the Bible through 7 times completely. This year i have read the Bible through. It's my 38 times! READ ALSO: How To Get A Marriage Proposal From Christian Brother. And you have not done for once. Shut the TV off; tell your friends they shouldn't call your phone, turns it off and use your unmarried time to get the word into your life. Because when you get marry you wouldn't have time, am telling you. You wouldn't have time sir. The most important time in your life is your unmarried time. So, don't rush out of it. Enjoy it, growing it, developing it and you will offer someone a better product when they arrived. How many people couldn't wait? They have such a promising life, great dreams, and wonderful vision for their life. I want to go into business, i want to start a ministry, i want to write books and suddenly they marry someone who has no interest in their dreams and their purpose was derailed. 5. It Is Better To Be Unmarried And Happy Than To Be Married And Be Depressed. Some of you think you are depressed, wait until you get marry. If you think marriage is wonderful. Talk so some marry people and let them be honest. Paul says "Do not rush into marriage be sober and if you are unmarried, he says, do not desire it to be (1 Corinthians 7). What is he talking about? He said, if you marry you don't sin but i wish you wouldn't right away because you need to focus on your time on God first. Some people were happy until they got marry. You know them, don't you? Yes, just think about them for a minute. They were singing in the choir. They were good friend with you and you both go to prayer meeting. And then they got marry and now they are depressed and frustrated and looking old before their time. Enjoy your unmarried life time, To Be Continue In Series 4. 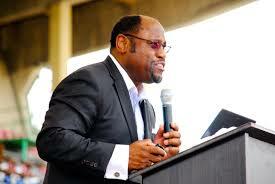 0 Response to "Understanding The Advantage Of Been Single By Myles Munroe — Series 3"